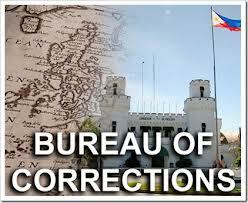 Once upon a period in the country’s penal history, the agency involved in the safekeeping of offenders, the Bureau of Prisons then (now Bureau of Corrections) belonged to the Department of Instructions and Commerce. Prisoners were seen as students and workers tasked to perform largely labor concerns. As a matter of fact, they were even treated as pioneering farm contingents as when they were literally assigned to explore jungles which later would evolve into penal colonies. 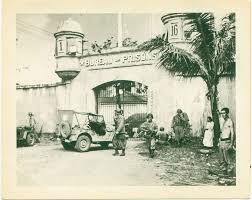 Iwahig Penal Colony, Davao Penal Colony, San Ramon Penal Colony were starting points. Prisoners were sent to these areas as farm hands to tame the wild so to speak. And from whatever produce they may be able to explore and exploit, it became part of the budding prison industrial commerce. That was in the early stages of penal colony administration. Years later, following the development of American judicial system, the Bureau of Prisons was realigned under the supervisory realm of the Department of Justice. From then up to the present, the organizational membership would remain as it was. For quite a time, it was American jurisprudence that dictated a number of institutional practices, which up to the present the prison system is adhering to. Little legislative concerns were submitted except during times when disturbances and riots would emanate from the throes of complaints by the incarcerated humanity. The Laurel Report on prison report became a significant document that forced government to review the conditions obtaining in all prison establishments. And while it virtually pushed correctional concerns at the forefront of legislative awareness, the enthusiasm faded as soon as the last victim of riots was buried. Then came a series of advocacies focusing on human rights and religious formation activities in prison. These encouragements influenced the climate obtaining in penal facilities and reduced the tension. It also reinforced the introduction of programs that later would become the centerpiece of rehabilitation. It would likewise be the central consideration in every program intended to promote the welfare of the prison community. While riots virtually waned in NBP, trouble erupted almost simultaneously on most penal colonies. Prison officers in Iwahig, Davao and Zamboanga were assaulted. Gangs in these facilities were likewise viciously attacking each other. Violence and mayhem cascaded from Muntinlupa to various penal establishments in the country. This would be the temper of penal colonies until it would subdue as time goes by. In the late 70s when death penalty was virtually bannered by the military establishment, the penal system was silenced into a level of contemplation. The prison agency at that time has been acknowledged as a complete package. It has almost everything in its arsenal except for air power. It has a shipping line (MV Bupri), it has vast tracts of lands in Palawan, Mindoro, Mindanao, etc, it has a vast supply of manpower, it has armed personnel, its establishments posted in all critical regions of the country in strategic locations. It is almost a total force to reckon with. During this period, government recognized its organized potential; hence it reorganized prisons but neglected updating its rules. It remained stagnant and bereft of significance in the scale of criminal justice administration. It would remain the same for years to come. Prison leaders would be appointed one after another on the basis of political discretion. Every individual administration would attempt to start policy as if the agency had a dark past. Every appointed leader would presume that changes were made and their presence incumbent on the basis that their predecessors were failures from the start. Every administrative expression of those given the chance to score correctional victory would only do so on a personal level and would never create any historical consideration. There was no sense of administrative continuity from one appointed leader to another. Every representation was a virtual double of its political patron. Every change in prison administration would be marked with a seal of innocence and blind commitment. For the last several decades, the correctional administration would partake of measures upon measures even if there were no laws that would govern all attempts at updating practices until the time came when Legislature finally broke its silence. It drafted and finally sent a law for approval the prepositioning of the agency—Bureau of Corrections—on the back burner of criminal justice administration. Republic Act 10575 (The Bureau of Corrections Act of 2013) was eventually approved by the President and another correctional milestone, Republic Act 10592 (The Law on Good Conduct Time Allowance and other Grants for the reduction of Penalty) was subsequently passed. These two recent legislative measures literally brought the Bureau of Corrections back on the plane of relevance in the entire criminal justice system. It virtually conferred awareness on the plight and condition of the incarcerated humanity. If only because of this concern, the country’s penal administration finally achieved a significant and effective role in the proper treatment of those under custody of law. I am due to retire after almost 38 years in the prison service. I have seen and experienced what corrections meant to the criminal justice administration during those times. I have struggled to find my role in the complex and confusing dynamics of correctional directions. And finally, on my way out, two laws would stand out to reform the entire corrective system. It was indeed a fitting occasion to witness the dawn of changes. I may not be an active part of the transformation this time but I know fairly well that there will be positive shift of corrections with emphasis on the welfare of those serving time in the regime of incarceration, an advocacy which I devoted my professional calling for years. Posted on April 20, 2014, in Uncategorized and tagged bureau of corrections, bureau of prisons, Penal Colonies. Bookmark the permalink. Leave a comment.